With Social Link your existing users can link their account to one or more social networks or identity providers such as Facebook, Google, Twitter and Yahoo. These users may then either login with their already-existing credentials or by using our Social Login service. Once a user is authenticated, our system will provide a consistent user_token, allowing you to tie the social network account to an existing account in your database. 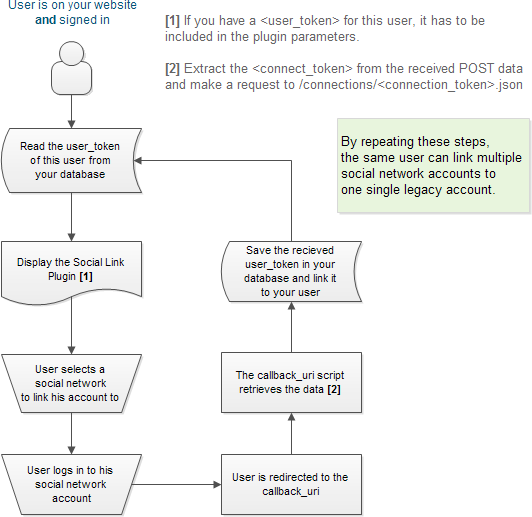 Following user authentication, you can also our REST API for advanced social network integration features.